Thank you for visiting Bridgewater Surveyors. We have recently made some additions to our site so if you are a tenant or an RSL participating in a party wall insulation trial and wish to know more about the measure, please see the ‘Party Wall Content’ section accessed via the top menu. Between 2001 and 2006 we were a private practice offering services ranging from building conversions, adaptations and refurbishments, to planned preventive maintenance, remedial works and contract administration. Stock Condition Survey, Housing Health & Safety Rating System, Decent Homes, Fire Risk Assessment, DDA Audits. For more information about these services, please contact us directly. In 2008 the energy surveying market changed. In response to the European Directive on the Energy Performance of Buildings the UK government mandated the undertaking of energy assessments for homes in both the sale and rented market. We were fortunate to become involved in the UK government pilot projects in 2007 and since then have completed over 30,000 domestic EPCs for the social housing sector. Domestic Energy Performance Certificate, Commercial Energy Performance Certificate, Display Energy Certificate, SAP Calculation, Thermography, Air-pressure testing, Solar P.V. Survey. Following research and findings by Leeds Beckett University, party wall bypass was recognised within Part L of the 2010 Building Regulations for new build constructions. In 2012, we contacted Knauf Insulation to see if they were interested in trialling a solution to retro-fit their system into existing housing. 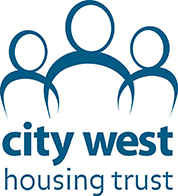 Luckily they were and our client, City West Housing Trust, were also keen to provide properties suitable for testing. Further acoustic testing was completed with the help of One Manchester. The trials resulted in approval for the system to be installed in millions of existing dwellings and inclusion of party wall bypass within rdSAP, meaning millions of dwellings would thereafter correctly record party wall heat-losses. Identifying party wall construction types in traditional housing: 11 wall models, 7 house models; 133 images; 2 videos; FAQs; 43 miscellaneous images; 21 trial images; links; installation process. To view this section, please see ‘Party Wall Content’ on the top menu.